On 21 November, West Bengal Chief Minister Mamata Banerjee, while addressing a press conference, alleged that Prime Minister Narendra Modi was threatening parties that are raising their voice against demonetisation. She also said she would hit the streets of Delhi on Tuesday to protest the Centre's move. "The Prime Minister is threatening other parties who are raising their voices on demonetisation. PM should be sober. PM should behave like a PM. If necessary, he should convene an all-party meeting on the issue," Banerjee said at a press conference at the state secretariat. "There is no ego fight. There should be a plan of action on demonetisation. My humble submission is that let us work together to solve the issue. The people are suffering," the Trinamool Congress supremo said. Claiming that some political parties were unable to raise their voices because the "PM is threatening them", she said, "But I will not be cowed down. I will continue to protest. He can put me in jail. He (Modi) is even threatening his own party." PM Modi at a rally in Agra on Sunday said political leaders behind multi-crore chit fund scams were attacking him because they had been hit hard by demonetisation, indirectly referring to Mamata Banerjee. Alleging that there was a 'scam' behind this move, she said, "There must be some hidden agenda. What is the hidden agenda? Let them bring it to the public domain," she said. 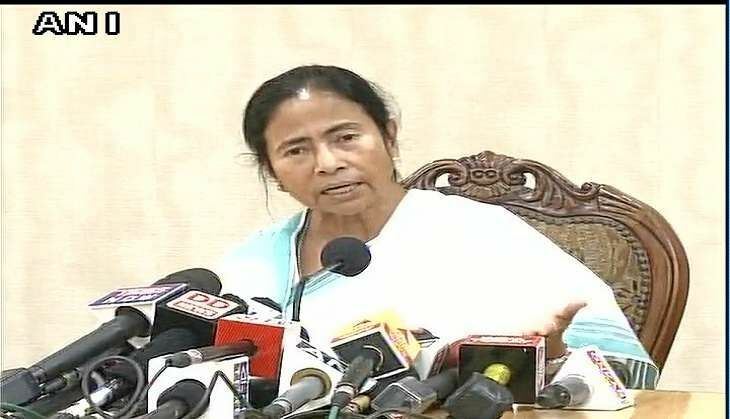 Banerjee said she would hit the streets in Delhi tomorrow and visit other states as well on this issue. "I will be in Delhi on November 23, 24 and in Lucknow on November 29. I will also go to Bihar and Punjab," she announced. "This is not a political issue. We are speaking on behalf of commoners. Markets are closed. Small traders are hit," she remarked and added, "I have no personal interest. I am doing this for the sake of the people of the country". She said she was not alone in her fight and added that at least three other parties had gone with her to the President. "I will request all (Opposition) political parties to be with the people," she said. The chief minister said that the Centre is allowing demonetised notes in various sectors like railways, aviation, petroleum, etc but not for state government sectors.